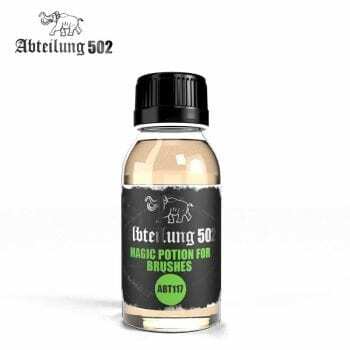 Cleaning solution designed for removing acrylics from brushes and airbrushes. Non-toxic. It can also function as a lubricant when you want to leave and rest your airbrush for a couple of hours and want to keep the needle clean. A potent cleaner to clean your tools and effectively remove the remains of the dry acrylic paint left on your airbrush and brushes. It can also be used as a lubricant when you want to leave and rest your airbrush for a couple of hours and want to keep the needle clean.